The N97 mini's back on its whirlwind tour of the FCC approval process, this time coming off confidentiality so we can get a good, hard look at its externals, internals, and user manuals. We're still not seeing a market for this thing in any locale that can't find a carrier to sell it for free on contract (read: the US), but for what it's worth, we still after all this time can't help but get a little smile on our faces when we see WCDMA 850 / 1900 listed in the SAR report. The phone will have quadband 3G nestled right alongside quadband EDGE, making it a rarity (by 2009 standards, anyway) and a truly world-capable phone for high-speed data -- perfect for that occasional jaunt to New York from your pad in London. 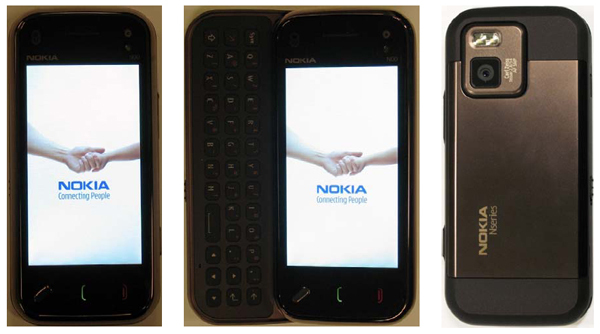 Nokia N97 mini's FCC docs gain full disclosure originally appeared on Engadget Mobile on Thu, 24 Sep 2009 17:09:00 EST. Please see our terms for use of feeds.